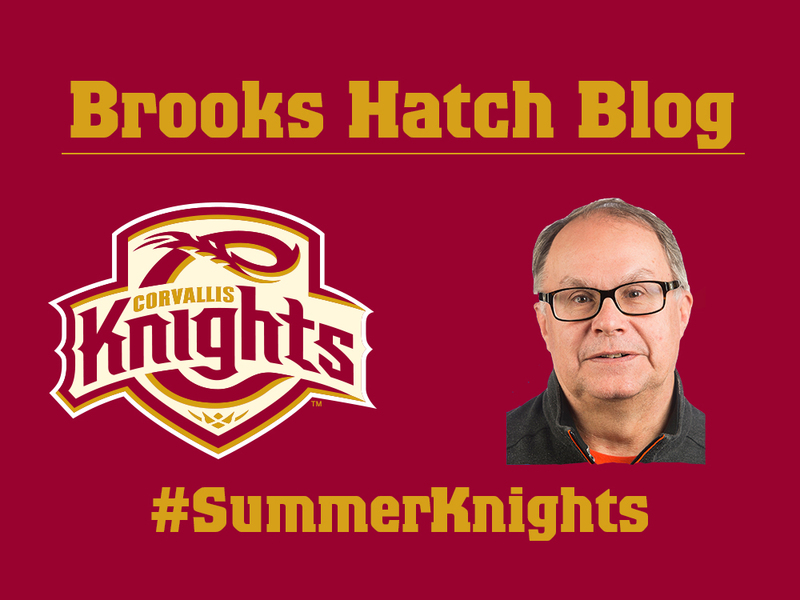 Happy Wednesday, everyone, from the world-wide headquarters (WWHQ) of the Corvallis Knights, your 2016-2017 and 2018 West Coast League champions! 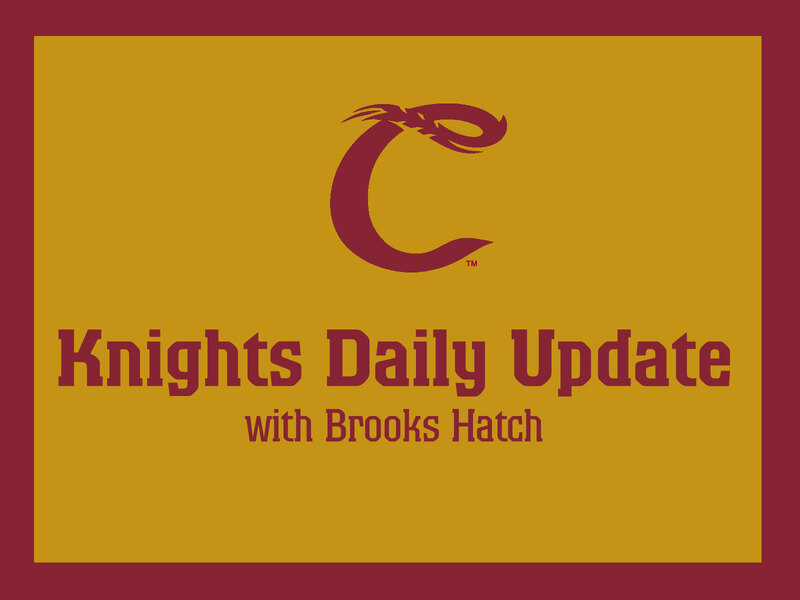 Pitcher Connor Redmond of Cal Poly and utility Andy Atwood of Texas Rio Grande Valley will return to the Knights for the 2019 season. Both will be juniors in eligibility this spring. 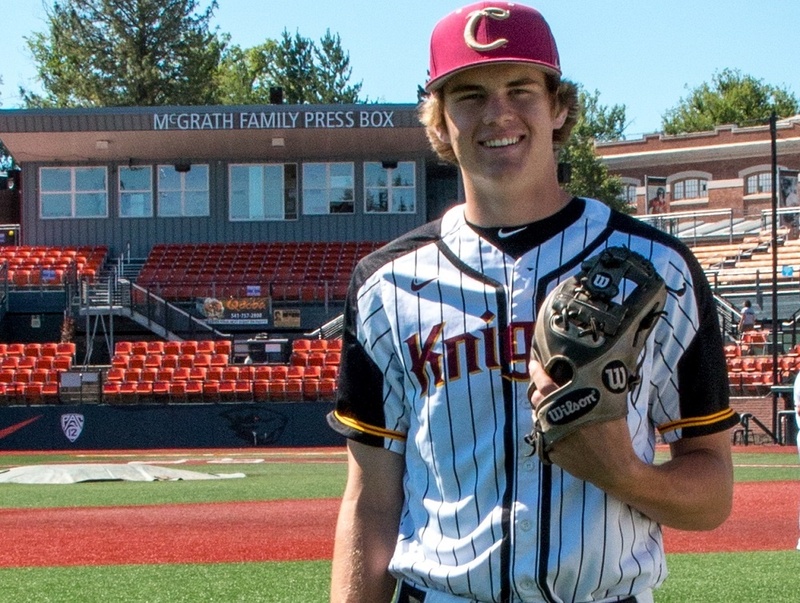 Redmond is a 6-foot-3, 185-pound righty from Danville, Calif., who was a key member of the Knights’ 2017 and 2018 WCL championship pitching staffs. He played at De La Salle High. Redmond earned honorable-mention all-WCL honors in 2018 after going 3-1, 3.32 in 10 total games, with 35 strikeouts in 40.2 innings. He was the winning pitcher in the championship-game victory over Kelowna, allowing just one run and four hits over 6.2 innings. He was 1-2, 3.72 in 2017, with 22 strikeouts in 29 innings over six appearances. He again excelled in the playoffs, allowing one run over five innings in a non-decision in a win over Yakima Valley, and earned honorable-mention all-WCL honors. Redmond was 1-2, 6.00 in 12 games at Cal Poly in 2018 and went 0-1, 9.64 in seven games as a freshman in 2017. He had 15 strikeouts in 24.1 innings. Atwood is a 6-foot-1, 170-pounder from O’Dea High School in Everett, Wash. He played at Oregon State in 2016 and 2017 and sat out the 2018 season under NCAA transfer rules. He is a redshirt junior this season. Atwood starred for the Knights’ 2016 West Coast League champions following his freshman year at OSU. He hit a team-high .323, led the team in steals (19) and earned second-team WCL honors as a shortstop. He hit .233 (21-90) in 58 games in his two seasons with the Beavers, with a homer and 15 RBIs. Atwood can play all four infield and all three outfield positions and was a two-time all-state player at O’Dea. We have also signed pitchers Nathan Giles of San Jose State and Tevita Gerber of Dixie State. Giles is a 6-foot, 190-pound freshman righty from John F. Kennedy High School in Fremont, Calif. He was 7-2, 0.61 and earned Bay Area News Group honorable-mention all-region honors as a senior. He was 14-3, 1.70 in 35 games for his three-year career, with 171 strikeouts in 152 innings. He played for the Medford Rogues in the Great West league in 2018 and was 1-0 with one save and eight strikeouts over eight innings in five appearances. Gerber is a 6-3, 205-pound junior lefty from Cottonwood High School in Salt Lake City. He played two seasons at UNLV before transferring to Dixie State and sitting out the 2018 season. Gerber was 3-7, 8.09 in 21 games at UNLV in 2017, with 31 strikeouts in 62.1 innings. He was 0-1, 7.00 in 11 games in 2016, with eight strikeouts in 18 innings. He was a four-year letterman at Cottonwood and was named all-state as a senior in 2015. He ranked No. 2 in career strikeouts when he graduated. Time to update the stats of our three alums in the Arizona Fall League. Pitcher Stephen Nogosek (2013) of Scottsdale is 0-0, 3.68 in seven games, with seven strikeouts in 7.1 innings. The Oregon product is in the Mets’ organization. Pitcher Chase Johnson (2011) of Scottsdale is 0-0, 3.86 in eight games, with six strikeouts in seven innings. The Cal Poly product is in the Dodgers’ organization. Pitcher Ben (Wetzler) Holmes (2011) of Glendale is 1-2, 3.97 in six games, with 24 strikeouts in 22.2 innings. 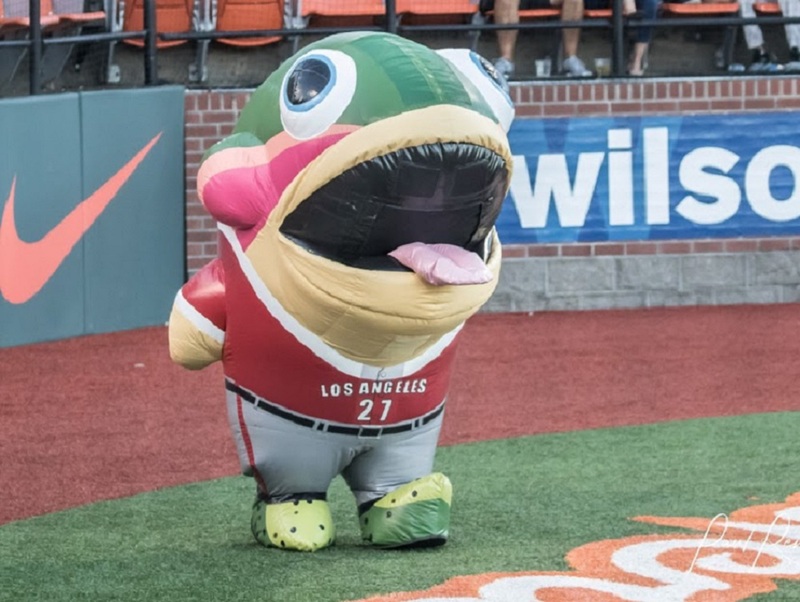 The Oregon State product is in the Dodgers’ organization. Please click here for more info on the AFL. Port Angeles has news on its 2019 schedule, and several returnees/roster additions. Please click here for full details. Victoria has signed six more players for next summer; three from Washington State, two from Cal Baptist and one from California. Please click here for details. That’s all for today. Have a great week and we will see you on Nov. 21.